We had major news this week from the Environmental Protection Agency. The EPA just followed through on a policy from our state legislature to exempt 26 North Carolina Counties (including several from our district) from expensive vehicle emissions testing requirements—abiding by a state law that the NC State Legislature passed last year, Senate Bill 131. This is fantastic news. Our office in Washington, D.C. had worked extensively with the EPA over the last several weeks to see the exemption implemented, and now they have fully followed through. The testing requirement was an incredibly expensive policy for so many hard-working NC residents and businesses—but the burden is now lifted for several counties! This is government working exactly as it should—with local governments closest to the issues making decisions. 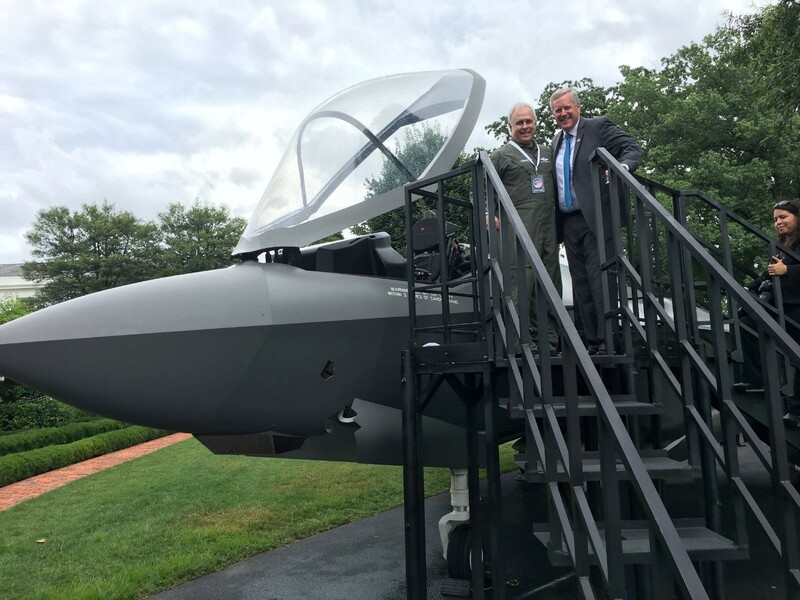 You can read more here, including comments from NC House Speaker Tim Moore and State Rep. Michele Presnell. The full text of the State Legislature bill (Senate Bill 131) is here, with the full list of exempted counties on Page 26. Last week, a bipartisan majority of the House passed my amendment to repeal Obamacare's 'Multi-State Plan' program, or MSPs. The MSP program has stifled competition in the healthcare marketplace and actually been so unsuccessful that only one state chose to participate in 2018. The Multi-State Plan program amounts to a textbook waste of taxpayer dollars and needs to be eliminated.Why should taxpayers spend millions on a program no one uses? It makes no sense for the OPM to dedicate funds to a program that does nothing other than spend money and prevent competition in the marketplace. The program was a poorly conceived provision of an even more poorly conceived bill in Obamacare, and repealing it is a positive step in the right direction of improving America’s healthcare markets. I’m excited to see the amendment pass. 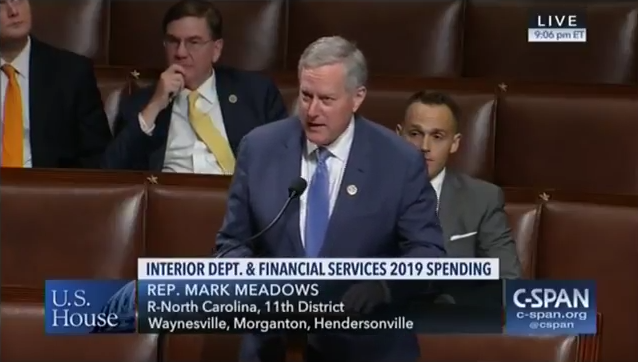 You can watch my full floor speech on the amendment here, and read the full news release here. We had a great turnout this weekend at the ‘Grand Opening’ of the historic Clay County Courthouse! 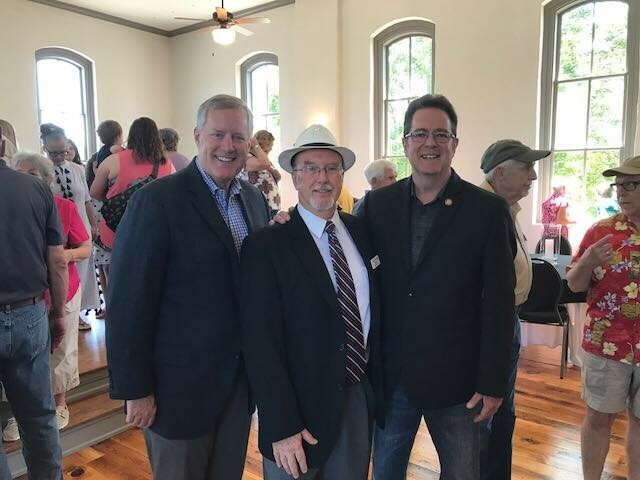 It was wonderful seeing Hayesville Mayor Harry Baughn,State Rep. Kevin Corbin, and so many great friends. 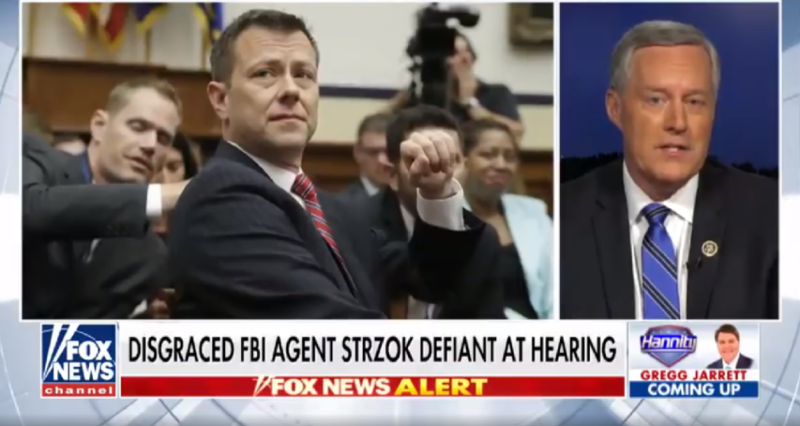 As you may have seen in the news, Congress recently heard testimony from former FBI agents Peter Strzok and Lisa Page—one in a public hearing and one in a closed-door hearing. This past weekend, Judicial Watch also successfully obtained a redacted copy of the Carter Page FISA application (you can read the copy here). There is a critical revelation we learned from the newly obtained redacted FISA application: the Obama Justice Department used an unfounded, unverified, false dossier, claiming Russian connections to the Trump campaign, as a part of the application to spy on a Trump campaign associate, Carter Page. To be clear: this means that in 2016, the FBI took a campaign research document, paid for by the Hillary Clinton campaign, and used it to get a warrant for spying on their political opposition—and they apparently did so without disclosing to the FISA court that the document had been funded by the Clinton campaign. By any standard, that is completely unacceptable. In light of the new testimony from Strzok and Page, and the new revelations in the Carter Page FISA application, we are reevaluating the next steps to force the Department of Justice to turn over the relevant documents and hold them accountable. In the immediate, we are calling for the Carter Page FISA documents to be declassified and further unredacted (protecting only sources and methods) so Americans can know the full truth. 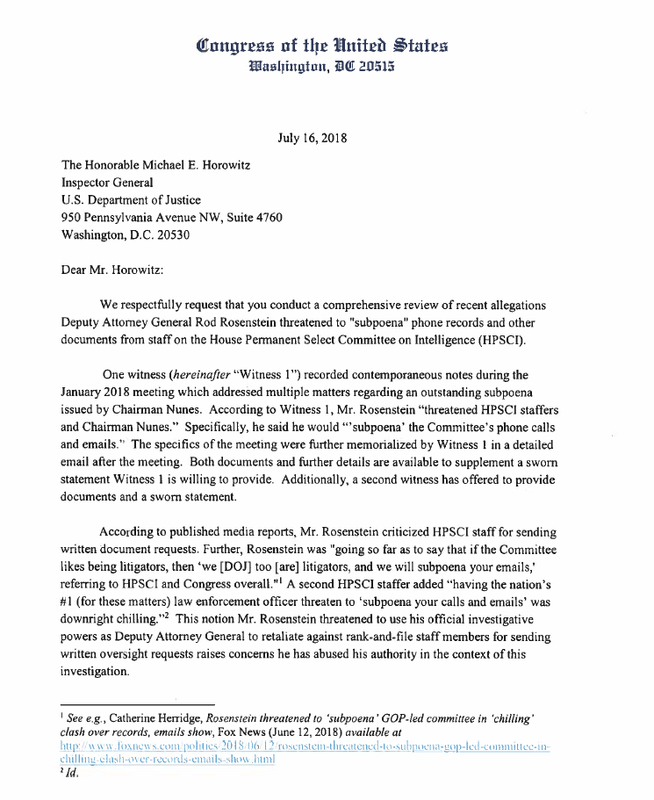 Rep.Jim Jordan (R-OH)and I also wrote a letter to Inspector General Michael Horowitz, asking him to investigate credible allegations from witnesses and media reports that Deputy Attorney General Rod Rosenstein threatened Congressional staff. For a federal law enforcement officer, particularly an executive, to threaten staff in any way would be completely unacceptable. If these allegations are true, they need to be dealt with. You can read the text of our letter below, or at this link here. I also joined Fox News to discuss some of Peter Strzok’s committee testimony—and you can watch a clip here. 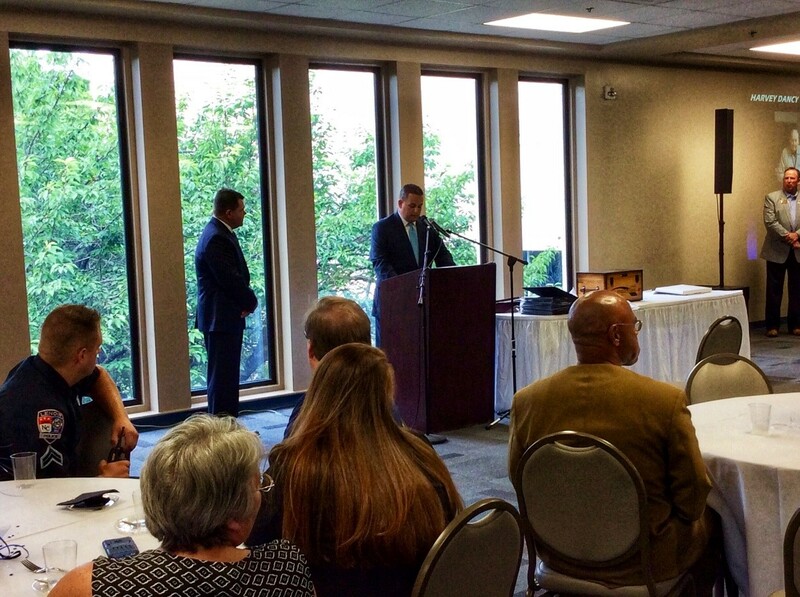 The Western North Carolina business community is thriving! 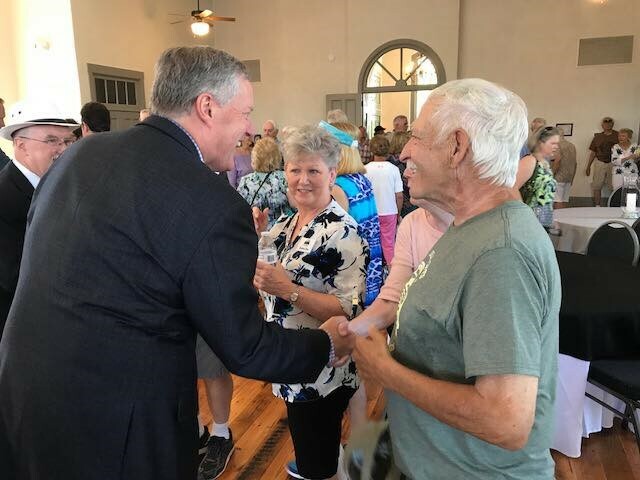 I enjoyed spending some time this weekend with Murphy Mayor Rick Ramsey, the Murphy Business Association, and Cherokee County constituents to get an update on how things are going. Looking forward to being back soon. 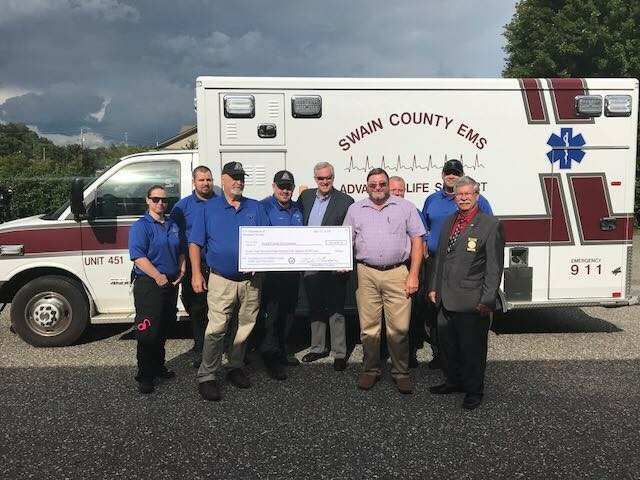 I was honored to present an official grant check to the Swain County Emergency Medical Services team. The check, worth $24,858, was awarded to the county as part of a federal grant program directed by the Department of Homeland Security. The Swain County EMS team was selected through an application process organized by the DHS to support first responders around the country. 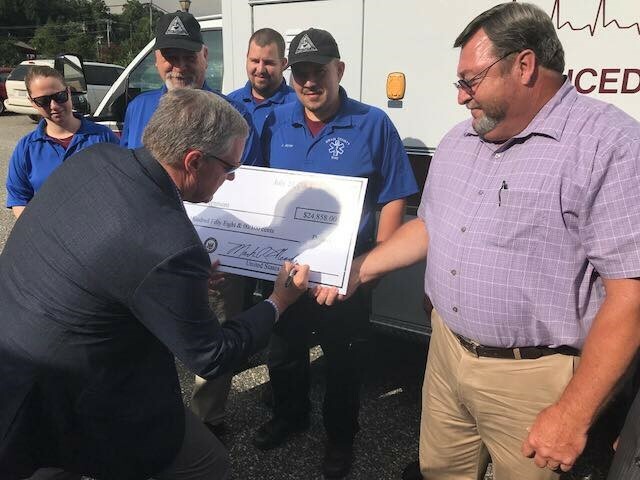 This is a well-deserved grant for a worthwhile cause, delivered to one of the best emergency service teams, not just in North Carolina, but in the whole country. The first responders we have in Swain County are widely recognized as among the most effective, professional, and high-quality groups you’ll find. 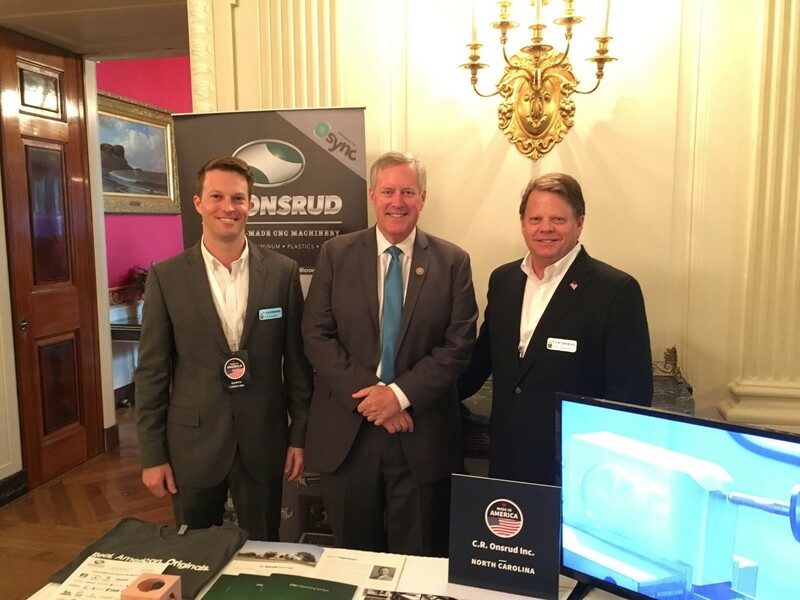 It was great to be at the White House for 'Made in America,' an event celebrating American manufacturing. North Carolina was well-represented! My staff and I recently had the honor of presenting a Congressional Record to Lenoir Police Chief, Scott Brown, in celebration of his amazing career and upcoming retirement. Chief Brown is truly one of the best and served faithfully for 32 years. We will miss him, but we're so grateful for everything he's done for the community. Best wishes to him and his family! 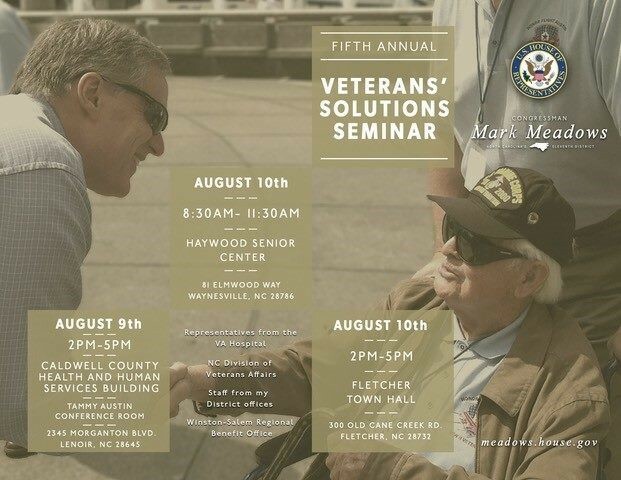 My office has officially announced the locations and times for the Fifth Annual NC-11 Veterans’ Solutions Seminars this August! 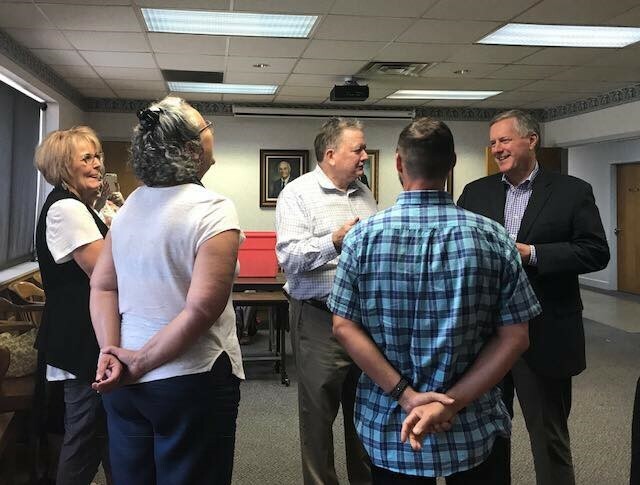 We're working with the Charles George VA Medical Center staff, the NC Division of Veteran’s Affairs, and the Veterans’ Affairs Winston-Salem Regional Benefit Office to provide assistance to our district's veterans. 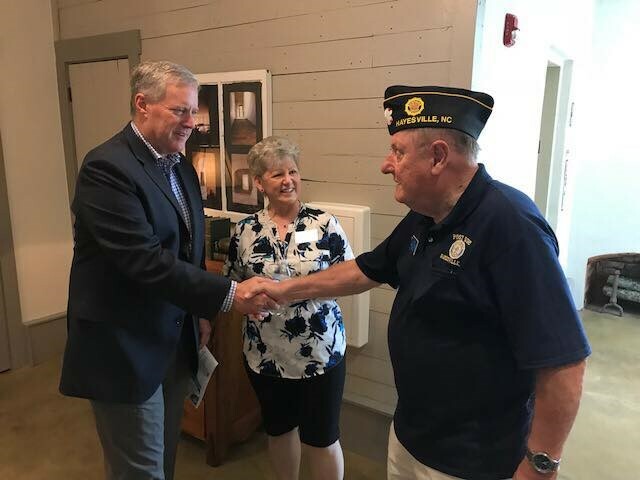 Veterans and their families will be invited to meet with members of Congressman Meadows’ staff, representatives from the VA hospital, the benefit office, and the NC Division of Veterans Affairs at the seminars and learn more about available assistance with issues surrounding VA benefits, healthcare, and disability. The details of each seminar are below. We'll have more info in the coming weeks, so stay tuned. We look forward to seeing you there. If you have friends, neighbors, or family members in need of help—please make sure they attend!